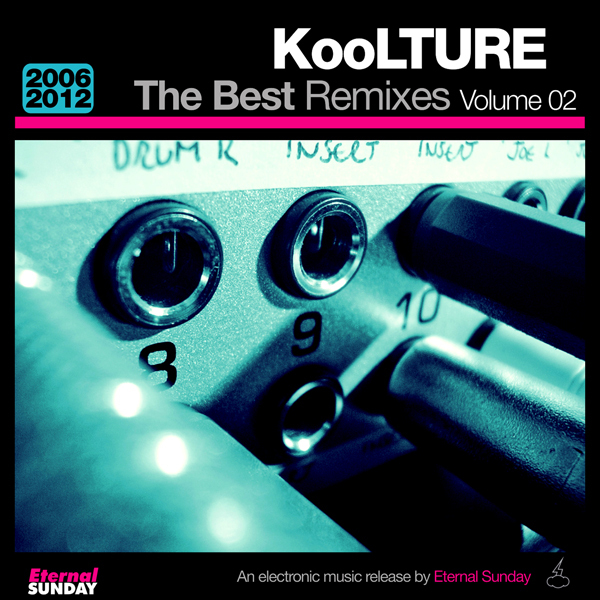 Eternal Sunday presents two volumes of KooLTURE’s best remixed tracks. Jose Tramontini’s electropop project has released dozens of dance remixes and alternative versions of his songs, many of them as free promos or bonus tracks, and it was about time to make a killer compilation of the best ones. Remixers and producers from around the world like Sygma and Nathan Heinze as well as Argentineans like Ladies On Mars, PJ Rose, Diego Puerta, Tecnoman SF and Sgoliat collaborated with KooLTURE to bring us this incredible collection. All songs Written by José Tramontini & published by Eternal Sunday/ Universal Music Publishing, except for 04 Tramontini/ Zambrano and by 03 Tennant/ Lowe, published by Cage Music Ltd/ 10 Music ltd. Mastered by Emiliano Canal & Michael Etes at the Michael Etes Studio, Buenos Aires, Argentina. All songs Written by José Tramontini & published by Eternal Sunday/ Universal Music Publishing, except 04 by Tennant/ Lowe, published by Cage Music Ltd/ 10 Music ltd. Mastered by Emiliano Canal & Michael Etes at the Michael Etes Studio, Buenos Aires, Argentina.